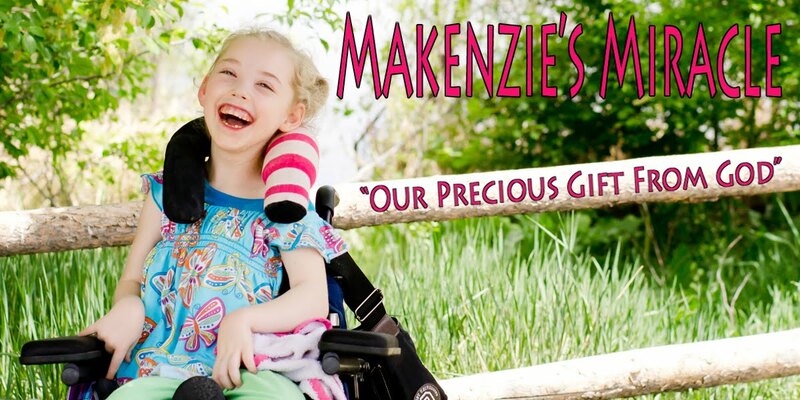 Makenzies Miracle: Just One Thing! Last night solidified my one and only dislike of Makenzie's new chair. It is very hard to put her in it when she has any kind of girly clothes on. I am pretty sure we sat in the parking lot waiting to go into our birthday party for 20 minutes trying to put Makenzie into her chair. It was a battle of the wills to begin with because she was excited and had more extension then normal. It was cold and this mommy was very frustrated. I would get her to flex but by the time I wrestled all of the fluff on her dress she had extended out of the seat. Really I just wanted to cry. She was crying and finally I just gave up and carried her in while pushing her chair. Once we got into the restaurant it was not much better because it was loud and over stimulating but at least it was not cold! I never fully got her hips all the way back into the chair but such is life some days! A few deep breaths later and we were having a great time! We sang karaoke, danced, ate cake, and opened lots of presents!